Hello everybody, welcome back to a new post on the blog. Today is the second day of April which yesterday is the first day of the Easter holiday, I wish you all a happy and amazing Easter holiday. Make sure to spend it with family and create amazing memories. I've planned a couple of posts for the last month, but I didn't get to do it because I've gone through hard times dealing with other stuff and life assignments. However, all the plans will be planned for this month and I will make sure that all the plans will be conducted in this month because as the quote says 'If it's not going to be today, it won't be tomorrow'. Also, I will add new plans and challenge my self to get it done too. Today is the first day of the month, but I'm excited for the last day of it when I will be sharing my accomplishments. I mentioned about this in my welcome back update post in the last month. It's not going to be only me who is going to share, but also it will be a chance for you to share whatever you have accomplished in the same month which will be basically a celebration for us for what we did. 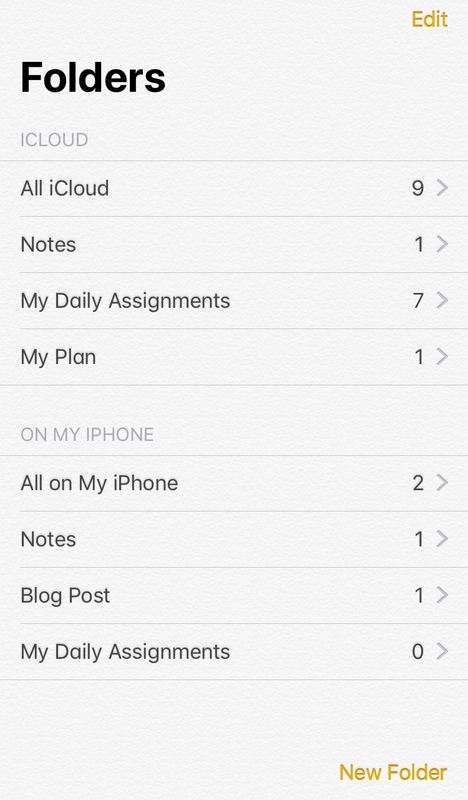 Anyway, I'm going to share one of the planned posts from the previous month which is a new way to arrange daily assignments with an iPhone. If you remember, I got a new iPhone at the beginning of this year and since then I've using it and figuring out new ways to help me with my daily life and blogging. 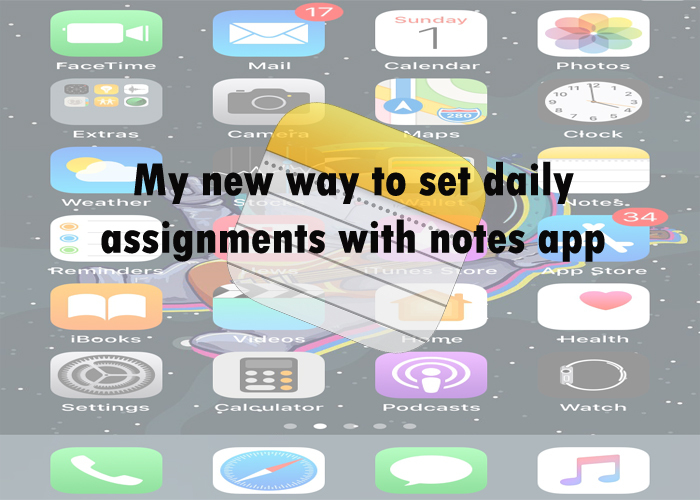 I found this idea in the last month and wanted to share it with you guys to help others if someone looking for a way to do the same thing or someone interested in learning a new way of planning daily assignments. This is might not be new to some of you guys and that's how life goes, some people learn new things that others already have and there is no problem with that. There is also another way to do it, but for me, I think this is the best way because I kinda feel like its easier and better. I will talk about things I love about it and things I kinda don't like and show you some of the things I planned using this idea. I'm going to start with how I came up with this, when it started and how it's been so far and everything about it. My friends called me to hang out with them and I did, but when we were together outside hanging, A moment of silent happened and I was exploring my phone and I was checking on the notes app in my phone and I came across this feature which you can add a list of things with a circle at the beginning of each one. When you tap on the circle it gets marked and came to my mind the daily assignments that I do and from then I started using it. I can manage to arrange the assignments daily with no confusion of what I want to do and when. There is always something you need to do in this life and it could be a mess and waste of time if it's not arranged with a plan in the daily basis because you will get confused about what you want to do at the day and when to do it and this is first thing I like about it. Also, sometimes when I have a lot of things to do in a day that would help me to keep track of what it could be done on the same day and what couldn't. This way I can know what is left for tomorrow and what I have finished. Setting up this takes time to get it all done and I always have to do it by the morning because it's at the beginning of the day which is kinda frustrating to do it every day and this is what I kinda don't like. but we have to do it if we want to keep it rolling and keep it organized. Anyway, I'm going to show how I do it with pictures though there are not that much of pictures for this post to share because there is nothing to capture other than what I do and will talk about it in more details. 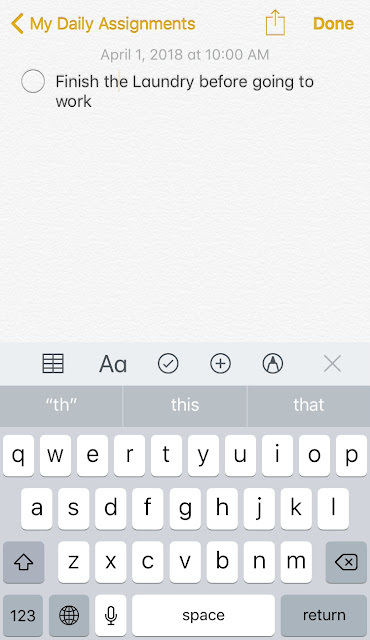 Remember, this feature is on iPhones only and I don't know about other phones and how the notes app works on them. 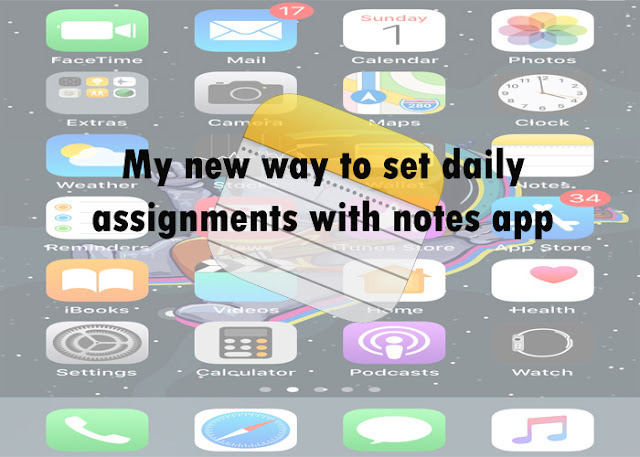 If you have used the iPhone before you will understand how the notes app works and its simple. I always keep my notes organized with folders to help me look back at them easily and quickly. There aren't much of folders actually because I just started using it recently. I'm sure you can tell that I use it to organize my blog posts as well because it makes sense when I finish the post and then mark which means it's done and moves on to the next one and so on. When I go inside the folder, you will find the new note button in the bottom right corner and when you tap on it, it shows as shown in the picture above. If you can see the circle after the letters from the left that's the feature I'm talking about and I did an example of instead of showing my plans because it's kinda awkward to show my plans off, but it is just written like the example with different assignments and when I get it done, I tap on the circle and it will be marked which will mean it's done. I LOVE using the notes app for checklists! I use it when I am out and about to write notes of what I need to do, then add it to my whiteboard to-do list in my office when I get home. I have used the Note app before but not for this purpose. Looks like it would be pretty helpful. Love using the notes app for on the go tasks and reminders. I have recipes and all kinds of things in my notes!